The New Zealand hoki fishery is a well managed and sustainable fishery in accordance with the Marine Stewardship Council's Principles and Criteria for Sustainable Fishing. Hoki is one of New Zealand’s most commercially important deepwater fisheries. They are widely distributed throughout New Zealand waters, from depths of 10 m to over 900m, with greatest abundance between 200 and 600 m.
The hoki fishery operates in four main regions around New Zealand’s south island: on the Chatham Rise, Campbell Plateau, along the West Coast and in the Cook Strait (HOK 1). Hoki are managed as two separate stocks, an eastern and a western stock. Scientific research and assessments are carried out on each stock and catches from each are managed within separate catch limits under an overall total allowable catch (TAC) for HOK 1. Hoki are largely caught as part of the hoki/hake/ling trawl fishery complex. All three species have been MSC certified in New Zealand. Hoki is managed by the Ministry for Primary Industries using the Quota Management System (QMS). The Ministry works in partnership with Deepwater Group (a not for profit organisation that works on behalf of fisheries quota owners). The two parties have developed a single joint-management framework with agreed strategic and operational priorities and workplans. The partnership is focused on determining the maximum economic yield of the deepwater fisheries by setting catch limits that maximise returns over the long-term within the constraints of ecological sustainability. The hoki fisheries were the first major whitefish fisheries to be certified sustainable by the Marine Stewardship Council and were certified for a third time in 2012. 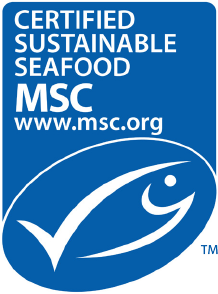 The MSC Certification covers all hoki caught in New Zealand. The next assessment is scheduled for mid-2017. Stock assessments of hoki are conducted annually, and have been for many years. The best estimates of spawning biomass for the two hoki stocks (eastern stock: 53% of unfished biomass; western stock: 41% of unfished biomass) are larger than the soft and hard limits. The probabilities that the two stocks are above both the hard and soft limit points are greater than 99%. There is consequently a high degree of certainty (probability greater than 95%) that the two stocks are above the point at which recruitment would be impaired. The assessment also determined that limit and target reference points are appropriate for the stock and there is a robust and precautionary harvest strategy in place. There may be instances in which the commercial catch exceeds the commercial harvest limit (such as in recent years for hoki). This is legally provided for under the Quota Management System as part of Annual Catch Entitlement (ACE) under fishing allowances and carry-over from one year to the next. In the 2014-15 fishing year, for example, there were 167,574 tonnes of ACE available in the hoki fishery but the commercial catch limit remained at 160,000 tonnes. A management strategy is in place for the hoki fishery that is highly likely to achieve national and international requirements for the protection of endangered, threatened and protected species, particularly seabirds and marine mammals. Fur seals are caught in trawl and other fisheries around New Zealand. Captures of fur seals in the hoki fishery occur in all fishing areas. Fur seal populations are monitored, and estimates of total New Zealand population sizes, and number of breeding colonies are generally increasing. Overall, the hoki fishery is highly unlikely to directly affect the growing population, although continued study is warranted. All vessels managed under the Deepwater Group are required to follow specific operating procedures to reduce the risk of seal captures. Current research and management priorities for fur seals include better assessments of capture levels in Cook Strait, identifying the regional provenance of bycaught fur seals, and investigating female foraging behaviour. The hoki trawl fishery is not thought by experts to represent an especially high risk for seabird populations, as long as effective management measures, including mitigation, are in place. By law, trawlers over 28 m in length fishing in New Zealand waters are required to use one of three specified devices to reduce seabird interactions with trawl warps; paired streamer lines, a bird baffler or a warp scarer. 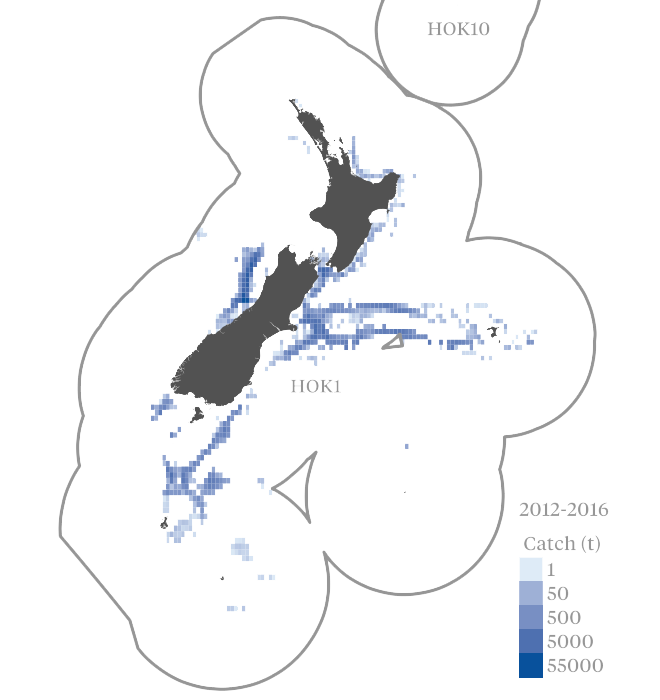 The assessment determined the hoki fishery does not pose a risk of serious or irreversible harm to the bycatch species or species groups and does not hinder recovery of depleted bycatch species or species groups. Ling is the most significant bycatch and is also certified as sustainable by the MSC. The hoki management system has an effective monitoring, control and surveillance system, including satellite vessel monitoring systems, government observers, and accurate reporting and record keeping. Sanctions to deal with non-compliance in the fishery exist, and are consistently applied. 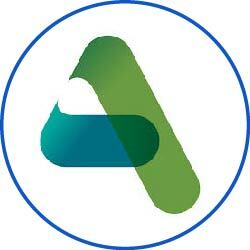 However, the preferred approach is to work collaboratively with industry to prevent non-compliance. The Ministry for Primary Industries has a medium-term research plan that provides a strategic approach to research, and includes timelines and priorities. The National Fisheries Plan for Deepwater also has specific objectives for hoki that directly guide actions in the fishery. These are specified in the Annual Operating Plan and progress is reported in the Annual Review Report. The hoki fishery has been managed within the Quota Management System since its inception in 1986.